What does it take to be a Young Entrepreneur? We discuss the 3 things you will FAIL without! Do you have what it takes to be Young and Successful? How to be an entrepreneur? How to become an entrepreneur as a teenager, or someone who doesn’t have much money to start? What are the most important aspects about building a business, and a brand? How to become a millionaire and be happy, doing what you love to do for work, rather than working to do what you love? 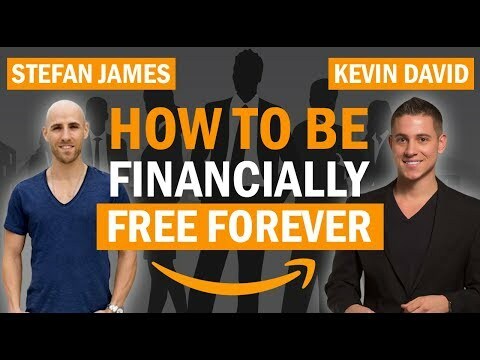 These are all questions that will be answered in this video as Kevin David AKA THATLifestyleNinja Interviews Stefan James, the founder of ProjectLifeMastery – a wildly successful YouTube channel that discusses online businesses and how to become the best version of yourself. We discuss advice for aspiring young entrepreneurs, and how to make the most of your younger years building a hugely valuable and equitable business and how to do the things you love from a young age! Join Kevin David and Stefan James as they give invaluable advice to Young entrepreneurs everywhere!